“Stripes of All Types” (Peachtree) with vivid illustrations and rhythmic phrases presents 19 animals whose stripes help them hide, communicate, or warn predators of their venom. Writer-illustrator Susan Stockdale uses alliteration and verbs with oomph to highlight a range of animals, from Madagascar’s ring-tailed lemurs to domestic mackerel tabby cats descended from the African wildcat. 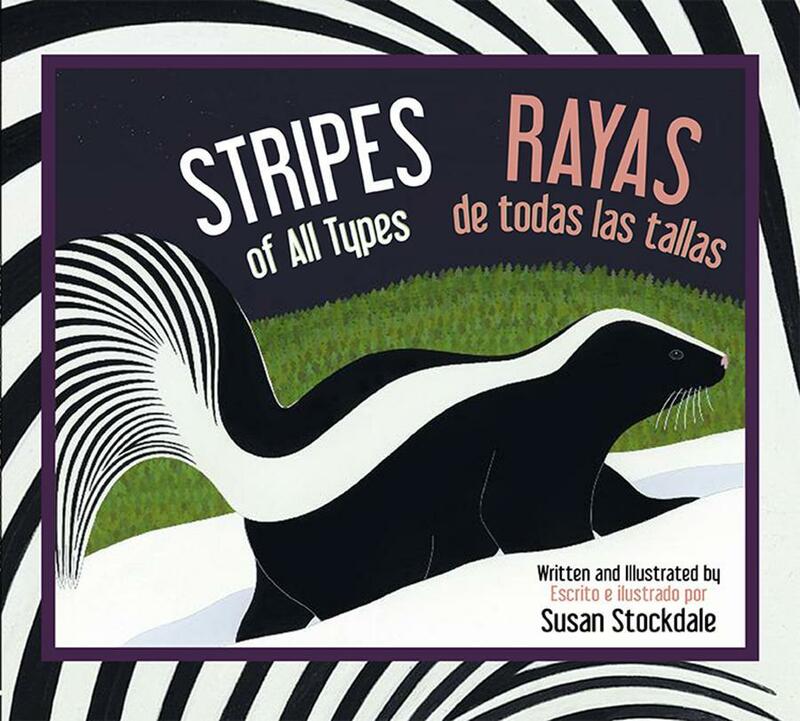 In the back of this new English-Spanish edition is a matching game and, for older readers, details about how each animal benefits from its stripes.